It’s hard to believe that Spring is finally here! We’ve moved the clocks forward, have that long awaited extra hour of daylight, and now we’re anticipating warmer weather. While it seems like this time of year should be much easier to squeeze in those 60 minutes of recommended daily physical activity, it’s also the time of year when our calendars start filling up with endless events and commitments. And we all know that when life feels too busy, physical activity often takes a back seat. So how do we get everything done and still find time to move?! Good news! There is a steady flow of research that has found that even a few short bursts of exercise throughout the day can add up and be just as beneficial as getting those 60 minutes in all at once. According to an article in the New York Times, these short bursts of exercise may help us feel happier. It states that “people who work out even once a week or for as little as 10 minutes a day tend to be more cheerful than those who never exercise”. Another article supporting the benefits of short bouts of exercise appeared in Science Daily titled, “Short bouts of stairclimbing throughout the day can boost health.” This article covers a recent McMaster University study which found just a few active bursts of stair-climbing throughout the day can improve cardiovascular health. The findings, published in the Journal Applied Physiology, Nutrition and Metabolism, imply that almost anyone can improve their fitness, anywhere, any time. “The findings make it even easier for people to incorporate ‘exercise snacks’ into their day,” says Martin Gibala, a professor of kinesiology at McMaster and senior author on the study. These appropriately named “exercise snacks” are a great alternative to the all or nothing approach. And while stair-climbing is a fantastic way to get moving throughout the day, there are a number of movements that are just as accessible – perhaps more fun! 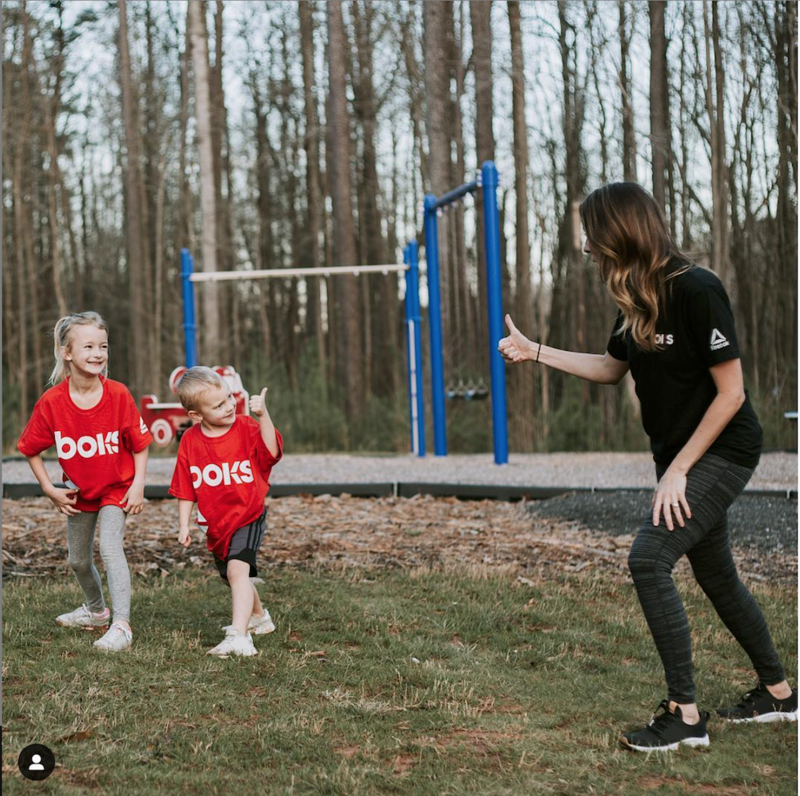 BOKS Bursts are our own version of exercise snacks created for kids and designed to provide a few minutes of fun moderate to vigorous activities that can be done in small spaces, as individuals, partners or groups at any time during the day. There are so many ways to get moving and have fun even when you are feeling crunched for time! “My kids see me working out at home, so they think it’s fun to have their own little workout they can do alongside me. They’re short and doable, and they love it! 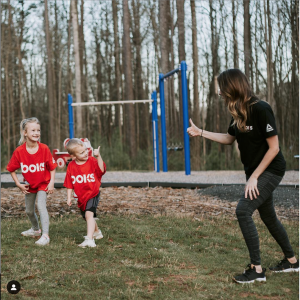 In a world where we have so much screen time, physical activity like this is so important.” Says Krysten Zarembski, @fitandhealthymomlife on Instagram, who loves what the BOKS program offers her family. Pictured: Krysten, @fitandhealthymomlife, with her kids enjoying a BOKS game outside. By getting kids active for a few minutes throughout the day, it may help minimize screen time or get kids moving indoors when they can’t play outside. Being active shouldn’t feel like a chore, especially for kids. Finding ways to add more movement throughout the day can be easy. Try the following activity with your kid(s) and let us know how it goes. Maybe you’ll even break a little sweat! For more fun activities like this, sign up to receive our FREE weekly BOKS Burst email HERE.